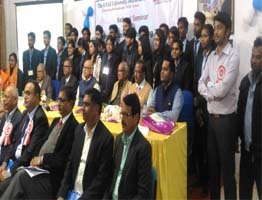 The company is founded by the Ex Employees of Indias leading companies IT Companies who resigned from their prestigious jobs and started this firm.We have fresh ideas,we create innovative business planning and we design effective solutions.Hence within a couple of months from its establishment it has so many satisfied government clients, private clients, and several trainees. Volt Cyber Lab also known as "V-Labs" is a forensic and R&D division of Volt Technologies which has expertise in collecting, analyzing and investigation of digital evidence and cyber trails. This digital evidence and cyber trail may be found in computer hard disks, cell phones, CDs, DVDs, pen drive, somewhere in laptop/Computer hard disks, floppies, computer networks, the Internet etc. Volt Cyber lab also creates awareness in Cyber Security and Cyber Crime. It has also a consulting division with highly expert team who provides legal consultation and consulting in the field of Cyber/ Digital Information Security to protect kids , students , youths, individuals, organizations etc. from the unseen criminals of the wired and wireless world. 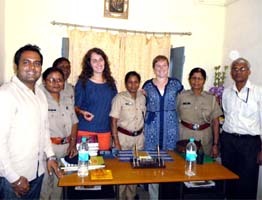 Belgium researchers did a survey with Volt Techonogies regarding cyber and information security at Ranchi Jharkhand. Time to time different trainees at the Volt Technologies are getting awarded for their extra ordinary performances. 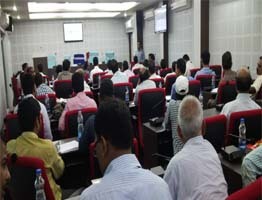 A frequent e-Governance applications trainings to different government employees to upgrade them in IT. An inbound and outbound BPO is opening shortly that will be run and operated by the Volt Technologies at Ranchi Jharkhand.